In the last 10 years, we’ve seen a trend in the marketing and advertising world of companies humanizing their brands and looking to develop a stronger, more sincere connection with a consumer. 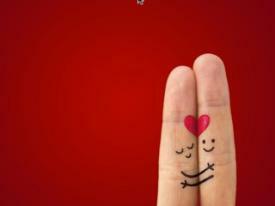 This emotional connection is strategic, meant to secure a long lasting, loyal relationship with a customer. It is estimated that the average consumer is exposed to over 5000 ads each day. It is no wonder marketers are looking to find a more strategic way to reach their audiences, and reel them in for the long run. Consumers respond to content that is personal and meaningful to them, so once you’re able to zero in on what that is, you can target them effectively. Showing that your brand is associated with a passion or cause will help shed a positive light on you in the eyes of the consumer. The best way to earn the respect and trust of your consumers is to value their opinions and feedback, and respond with action. A consumer feels an immediate connection to you when they feel like their voice has been heard. While it may be difficult, the relationships with your consumers have to be put ahead of your bottom line. You need to trust that the relationships you develop with your consumers based on trust and respect will be a lasting source of conversions. Understand that when you humanize your brand, you’re making a commitment to your consumers to care about the passion and emotion you’re bringing into the mix. They’re engaging with you as a result of you caring about something, and that means you must always follow through on what you’re portraying. While the benefits of humanizing your brand can be fruitful, it is also a large commitment. It is not simply a band-aid solution to marketing woes, it is a redefinition of your brand and what you stand for, and something you need to consistently deliver on once in place. With almost two decades in the marketing business, I believe that storytelling is one of the most powerful ways to add life and character into your brand. Capturing and sharing stories gives your brand and identity (it’s also a great content marketing approach!) that takes your target audience on a journey where they can find a personal connection with your brand. The goal of storytelling is to increase your consumer’s emotional involvement in your brand by being well integrated into their daily online and offline lives. Although the idea of brand storytelling isn’t a new one, the emergence of digital media, content marketing, and social media, has presented opportunities for brands to share their tales in a strategic way. A brand story is far more than a narrative with branded content. Everything you do tells part of your brand story. From the colours you use and the staff you hire, to the texture of your business cards and what your tagline is, each element should convey a truth about your brand to your intended audience. Your brand story should be authentic, creative, and inspirational, and go beyond what’s written on your website and in your brochure. I tell my clients all the time that their story is not only what you tell people, but also what they perceive you to be, based on the messages your brand sends. Speak the truth with some personality. Try to keep in mind honesty and transparency are important when crafting your brand story. Your story should be rooted in the reality of your brand, industry, products, and services, and should follow the three primary steps of brand building: consistency, persistence, and restraint. If your stories are inconsistent, they will complicate things for your customers, which will set them off in search of another brand that meets their expectations. Be creative and keep your brand promise in mind. Remember – brand stories are not marketing materials, advertisements or sales pitches. Exciting brand stories, full of personality, will attract and retain potential customers! Create characters your audience will identify with. Emotional branding has great potential to drive revenue and keep customers coming back. Since brands are a matter of perception, how a person feels about your brand typically determines whether or not they will buy your product. When you tell a story that represents human challenges and triumphs, you create an experience that resonates with potential and existing consumers. Creating well-crafted characters that your audience will like and root for will deepen the bond customers have with your brand, and as a result, increase brand loyalty. Why should you tell your brand’s story? Without a brand story you are just another commodity with no way to distinguish your brand or business. However, creating a brand story isn’t all about getting noticed – it’s about building something people can care about and buy into. Frame your brand’s weaknesses, dictate your brand’s strengths, and help customers think beyond the usefulness and functionality of your products or services. If I can leave you with one final thought – a potential customer’s relationship with your brand most likely begins before they buy your products and/or services (those are only part of the story). Your brand story is the foundation of your brand, and a strategy for future growth. 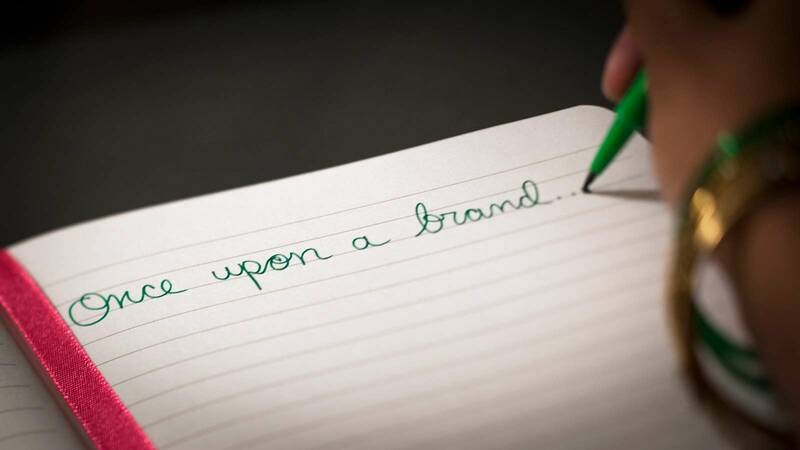 Does your business have a brand story? Share your brand stories with me and tell me how they have helped you reach success.